The Redline 1 features the wonderfully simple yet effective combination of 1 pick-up and 1 volume knob. 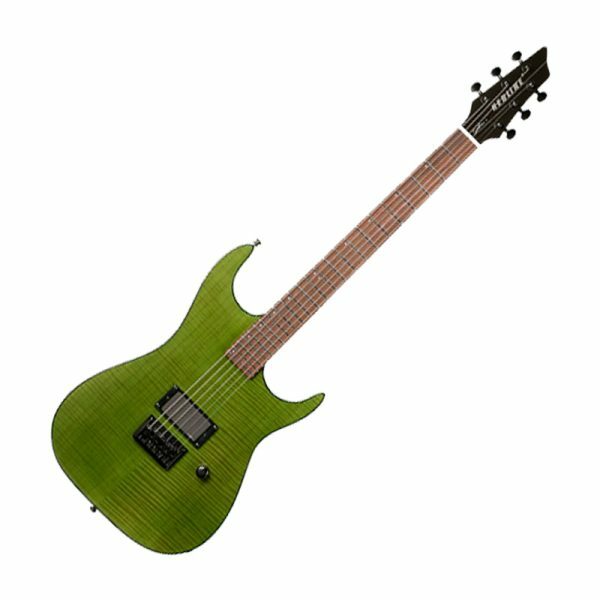 The guitar’s searing and ferocious tone is delivered via its sustain inducing, string through, silver leaf maple body with poplar wings and an active EMG-81 humbucker in the bridge position. Any pent up aggression can be unleashed upon the new, faster and sleeker, Redline 1 rock maple neck with ergocut rosewood fingerboard and 24 super jumbo frets. Other features include a newly designed, aggressively styled Redline 3 & 3 headstock, thick black binding and the stunning high gloss flame tops on color models. Trans Red Flame & Black HG.